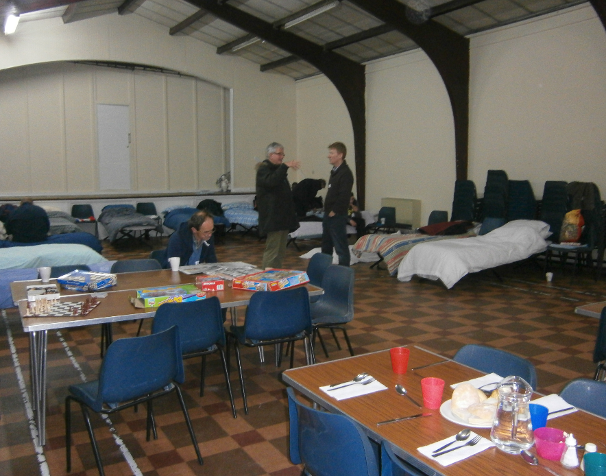 Along with many churches in Croydon, we offer our guests an evening meal, a bed for the night, breakfast in the morning and a packed lunch to take with them when they leave after breakfast. In addition, our volunteers offer valuable companionship in a warm, safe and caring environment. Our volunteers make up the beds, provide food, cook and serve the evening meal, wash up, prepare the packed lunches, stay overnight, make breakfast, clear everything away and take laundry home to wash ready for the following week.